The very existence of the mission was this dispensary that started from a meager hut and now boasts of full- fledged concrete building. It is equipped with all the necessary instruments and medicines and is under the care of competent doctors. 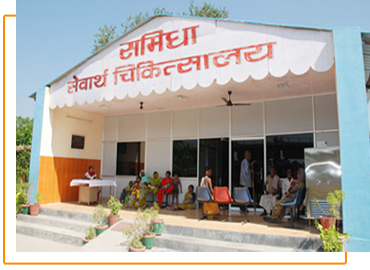 This dispensary is the lifeline the lepers and other people from the weaker sections of the society, who prefer this modest place not only for its treatment but also for its love, care and affection.